Is it normal for frequent guitar playing to be accompanied by wrist pain? Is it normal for frequent guitar playing to be accompanied by wrist pain or is it something that is caused by poor posture/position and technique? I have been playing for several years now, and mostly in the last year I have noticed this to be a problem, but I'm not sure if it is because I am playing more advanced pieces and I need to strengthen the muscles or if it is because my sessions are longer and it is causing irritation. 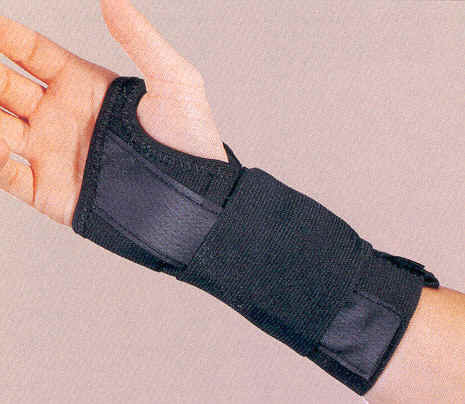 Wrist pain may be "normal" in the sense that many players encounter it at some point. But it is not "normal' in the sense that you should ignore it. I have seen injuries take down some very talented and able people. If you experience pain and discomfort, especially at times when you are not playing, then you should consult with a doctor, not other guitar players. Particularly if you feel hot, cold, tingling, needles or anything like that, as those are often associated with nerve damage. If you have an injury in your wrist, it will only get worse as you keep playing. These things have the power to permanently disable people in extreme cases. Not to scare you, but pain should be taken seriously! Changes to the instrument and its setup, including string action, string gauge, etc. Or an instrument that's more comfortable to play. Changes to your other habits. It's easy to overlook the role of other activities such as maybe spending 8 hours a day on a computer. If the pain is in one hand, try switching your mouse hand. You can also try improving your workstation ergonomics. Wearing an athletic brace (the sort of stretchy ace-bandage sticky type) may have helped me in the past; I think the compression can help keep things stable. NSAID medications such as Ibuprofen, if recommended by your doctor, can help reduce inflammation if there is any. Soaking in warm water can help relax the muscles too. A hot bath helps. In athletic treatment of muscular injuries, there is an acronym called RICE. Rest, Ice, Compress, Elevate. Maybe not applicable to musical or repetitive injuries. If you have muscular soreness, similar to the feeling after lifting weights or running on the track, then that is normal and it can be related to an increasing endurance level from fretting lots of barre chords (left hand) or maybe rhythmically demanding right-hand parts. Anyways, this is not meant as medical advice, and if you are concerned, you should definitely ask a doctor. @Grey's answer is good. I have had similar problems in the past, which caused me to get some repetitive stress injury in my wrist and get ganglions on the back of my left hand as well as carpal tunnel syndrome. I no longer used full index finger barre chords but instead used partial barres using my thumb when I needed to fret the low E string. I also learned to move my thumb across the back of the guitar neck depending on where I was fretting the strings. I taught myself how to play sets of strings instead of all of the strings across the neck. For jazz chords I learned Freddie Green voicings which only fret three strings and I use Steve Khan's method of rootless voicings to map those chords to thirteenths and such. My own posture looks a little odd but it works for me. Finally, I wore a stiff wrist brace with an internal splint for two months while I was playing to enforce my new technique and make it reflexive. Difficult to pinpoint without actually seeing what is going on. However, it may be the angle of the guitar, both vertically and horizontally, making the fretting wrist strain more than needed. It may be the action is too high, strings too heavy, that means you're having to press harder than necessary to get clean notes. It may be that you simply are pressing too hard: try playing a barre chord without the thumb on the back. It should still work. Not saying this is how to play barre chords, as much as questioning what little grip you need to actually make them sound. This bit will manifest itself with pain at the base of the thumb, at the wrist. It will be R.S.I., caused by over-working joints/tendons/ligaments. The pain itself is usually from over exertion. Playing routine needs to be regulated. Often the pain will go after a short while - something like athletes 'going through the pain barrier', but it's a good indicator that says 'have a rest'. Failing all that, a visit to a doctor, as advocated by Grey, is a necessity. There may be another underlying problem that has just been unearthed by you playing guitar. I would like to add that the guitar neck wood species and construction can make a difference also. I have developed some wrist pain and now wear a compression wrap and I notice a mahogany set neck guitar will aggravate it much more quickly than a maple bolt on neck. For me, complex chordings or fingerings are not the main culprit, but rather the increased vibration and lower frequency of my set neck mahogany guitars. I can play bolt on maple necks much longer with less of an issue. Hope this might help someone else. Bolt ons usually come with longer necks and slightly lighter bodies (Strats, Teles) which reduces neck dive, i.e. 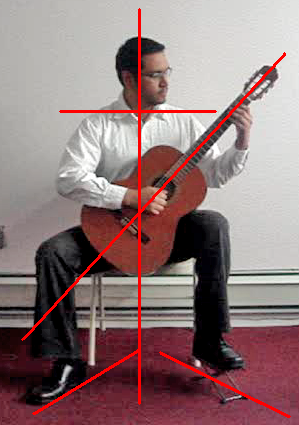 the fretting hand doesn't need to lift up the neck because it is nicely balanced. Set necks tend to suffer from neck dive if on the light side (SGs) or can be body heavy with a short neck (Les Pauls). It's up to everyone to find what best suits their own ergonomics. 'Wrist pain' would not usually be anaerobic / lactate pain, since there's no muscle there for lactate to build up in. Sounds more like a stress pain. Sure a doctor can help with treating your pain, but once you're better it could happen again. So, perhaps you need to get help with your technique, a good teacher should know. If lessons aren't your thing, pop into a guitar store to 'see if they have any guitars that suit you better', some guitars are not suitable for everyone, mention your problem to the knowledgeable staff, you could be doing something that is obvious to them. You mention you notice the pain more with jazz and bar chords. You also say you've been playing for several years, so your level of expertise may mean what I'm about to say is less relevant, but here it is: when trying out new chords, or using those that are a stretch for you or you find fiddly to get the fingers in the right place, don't make the mistake of squeezing too long—think of it as two stages, first get the fingers arranged, but only squeeze right at the point when the right hand is hitting the chord. Squeezing longer than necessary can cause aches and pains. Ignore pain felt while playing at your own risk. I did just that and, after a while, ended up with a ganglion cyst in my wrist that required corrective surgery. Kept me on the shelf for nearly a year between diagnosis, conservative treatment (that failed), waiting for and then recovering from the surgery. Generally speaking, pain is the body telling you that you are harming yourself. That being the case, harming yourself is usually a bad idea, don't you think? Not the answer you're looking for? Browse other questions tagged guitar technique posture or ask your own question. Will changing my grip help avoid wrist pain? Is there a “correct” position for the right hand when playing guitar?